I needed a BBQ sauce asap and the fans on the Ditch The Wheat Facebook page came to my rescue. One individual posted this recipe from Life Style by Poliquin, and I was immediately drawn to the simplicity of it. The sauce required no cooking and I had all the ingredients on hand, which was great since I needed to use the sauce for a family BBQ in a few hours. I adapted the recipe for my liking by taking out the medjool dates and replacing it with maple syrup. I also replaced the mustard with dried ground mustard because mustard contains vinegar and sometimes vinegar is made from wheat. The same goes with soy sauce. If you ever see a recipe needing soy sauce use coconut amino acids (you can find it here) instead which is gluten free and tastes great. Also, keep in mind this recipe tastes spicy when you sample the sauce after making it. Every time I have barbecued with it, the meat, is not extremely spicy. Mix all together in a bowl. *add the cayenne last in little amounts for desired heat. Spread onto meat. I have used this sauce on ribs, chicken and hamburger patties and it works great for all of them. 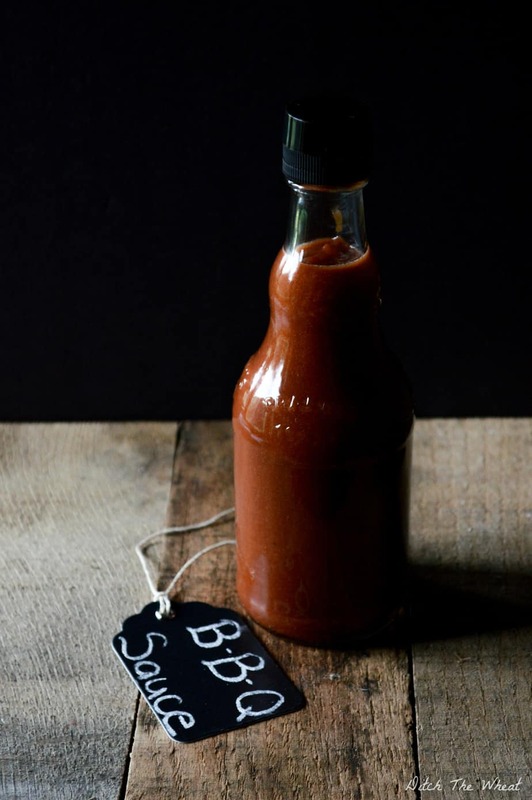 Store the sauce in a glass bottle (like this one). So far my sauce has lasted 2 weeks in the fridge without any signs of mold. This recipe made enough to cover 1 rack of ribs, 2 quarter chickens and I still have about 1/4 cup leftover. Adapted this BBQ sauce recipe from this recipe. What do “coconut amino acids” add to the flavor and/or texture of the sauce? Or are they there solely for some nutritional purpose? 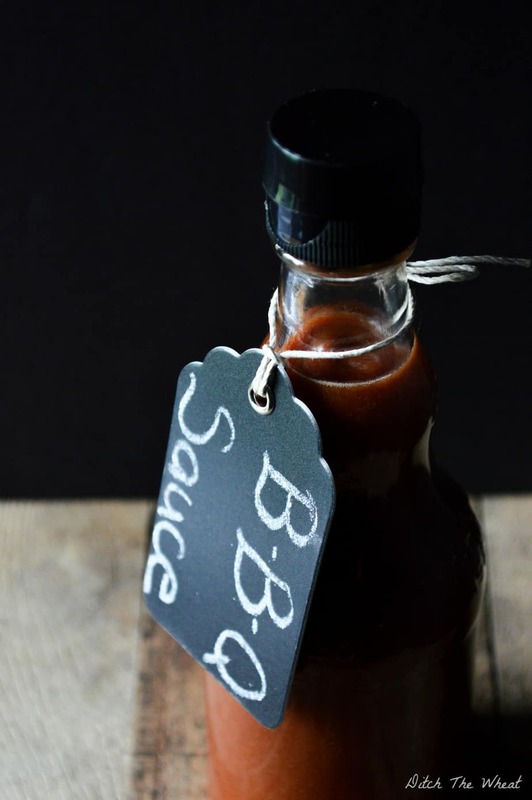 Soy sauce is usually a main ingredient in BBQ sauce. This replaces soy sauce. Tomato paste is a main ingredient in BBQ sauces. You can’t omit it. I would suggest you google for an AIP BBQ sauce. That would be nightshade free. Just made this tonight. My wife can’t have sugar or soy so this was a great way to do bbq chicken! Was fantastic! But it contains maple syrup? For the can of tomato paste, are you talking about an 8oz can? Delicious! I used gluten-free Tamari instead of coconut aminos, put it in the Crock Pot with 3 lbs. of pork carnitas meat, and set it on low all day. Perfect! Are these US cups and measurements? I am trying to convert the necessary units to metric!